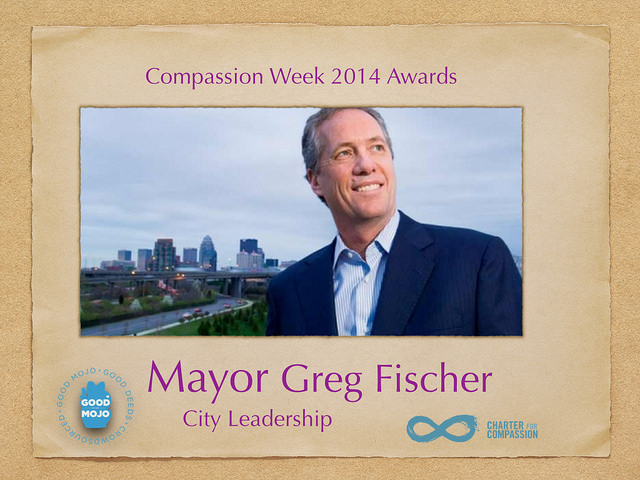 Louisville, KY: The Charter for Compassion has named Louisville the Model Compassionate City for 2014 and Mayor Greg Fischer acknowledged for his leadership during Compassion Week festivities in San Francisco, November 10-16. Louisville was also named the Model City in 2012 and 2013. The Charter for Compassion International is a cooperative effort to restore compassionate thinking and compassionate action to the center of religious, moral and political life. Compassion is the principled determination to put ourselves in the shoes of the other, and lies at the heart of all religious and ethical systems. More than 144,000 volunteers and acts of caring were a part of The 2014 Give A Day Mayor’s Week of Service, an annual event in Louisville. Members of Compassionate Louisville’s Coordinating Circle have mentored over 30 other cities interested in joining the Compassionate Cities movement. These cities include Winnipeg, Canada, Nashville, TN; San Antonio, TX; St. Louis, MO; and Toledo, OH. Compassion and Organizations Committee has hosted two Learning Forums focusing on small acts of compassion making a big difference. Two more are scheduled for 2014. Compassion and Education Committee is assisting Pre-K through 12 schools to adopt and implement compassion curriculum. To date, 22 schools in Louisville have self-identified as compassion schools by adopting compassion resolutions. Compassion and Healthcare Committee continues to work with individuals and groups such as New Roots to bring compassionate choices to healthcare. The Compassion Laureate program has begun to identify community members who embody the practice of compassion in some area of study or endeavor. 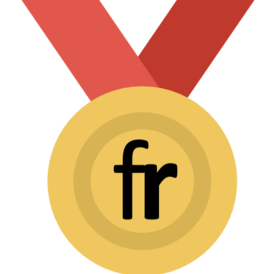 For the second year Louisville has individuals who are part of the planning committee of the Compassion Games committee. The mission of Compassionate Louisville is to champion and nurture the growth of compassion by asking “What does compassion want for Louisville?” The vision of Compassion Louisville is a community and world becoming more and more compassionate.